The story of Viventis Search Asia is one of challenges and bold moves. While the global economy was still suffering from the effects of the Asian financial crisis, I launched the search firm in 2001 with big ideas and high hopes. It was a struggle, and we experienced big losses – however, we have persevered, and come out stronger than ever. 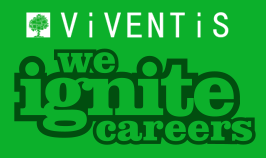 Over the last 16 years, Viventis has worked to solidify our top position in professional recruitment. Now, we have over 100 staff in the Philippines, and have begun to expand our expertise to end-to-end human capital services. We lead the pivotal movement from transactional recruitment to a career-centric approach. We put career well-being into practice. Unlike most search firms, we challenge the specialization boutique approach. We built our core practice around all major industries, but our business is hugely focused on market development – both for our clients, and for ourselves – because expertise has to be developed. It’s no longer enough just to provide a search service – it’s about end-to-end client satisfaction. Where we want to go as a career management business is more than just solidifying our top position in the market; it is about undertaking and conquering human capital disruption, and about maximizing technology as it greatly impacts the recruitment business. Where many businesses will be quick to cut budgets around training and development, I have always believed it is a vital component. In fact, I would even say we overinvest in training to enable our people to become smart, self-managed career consultants. The success of this business is highly dependent on having capable career consultants and an excellent network of talent. They absolutely have to understand how recruitment technology and tools are evolving. Beyond this, they also need to become professionals in dealing with people from all walks of life – Gen X, Gen Y, Millennials, etc. We see them as ‘relationship managers’ for each industry we operate in. This high capability is necessary and expected of all our people. As we imbibe our role in developing “the future of career creation”, our people are more than just headhunters; they are career advisors - who take into consideration each candidate’s professional development and career growth. A lot of talent often see recruitment as a transient passage in their careers, and we want to change that. Often, mid-level executives find themselves in recruitment while they are waiting for their next opportunity – and I want to challenge this. We want to show people there is a fulfilling, meaningful career in recruitment. I always tell them, “You can start as a headhunter, but you also must grow as a headhunter”. This is not a transient career – it’s a lifelong one. Technology has always been a critical driver in our business, but it becomes even more important now as we embark in the VUCA world. This includes a number of software and tools, but also a heavy understanding on the importance of social recruiting. We have heavily invested in LinkedIn to help us better connect with our clients and talent around the region. It can take years to retrain legacy recruiters to embrace social, so we have a very entrenched strategy around this. It’s about combining their industry and traditional headhunter knowledge with social know-how. As a business, we are also venturing more into technology and – without giving too much away – we are building a career app that will revolutionize what we do. The way Uber and Airbnb disrupted the transportation and hospitality industry respectively – this is what we are hoping to do for recruitment across Asia. Our industry has to completely adapt. The market is being reshaped, and we want to mold it through a continuous drive for innovation. Profiling, assessments, and analytics are the way of the future, and what we are aiming to build is an app along the lines of digital career advisory, behavior predictability, and potential for success. So, watch this space. Leadership is about what I call ‘empowerment with solidarity’. Empowerment isn’t just about delegating authority and calling them a ‘leader’ – it’s about preparing and trusting people to share their insight and knowledge, and changing the way we work from the frontlines. At Viventis, this drives everything we do – and it’s also something we provide to our clients. Leadership shouldn’t only focus on strategy and caring about the results, but the entire organization needs to become a partner to themselves and each other. If the company suffers, we suffer together; if we succeed, we succeed together. There are a lot of smart leaders out there, but they work within a disconnected organization. As a leader, it thrills me to see a new recruiters with very little training acting like a leader in a project. Social learning – and social recruitment – is enabling our staff to equip themselves for the future. They take charge in a way you don’t even expect. Instead of imposing responsibility, they take core ownership themselves. This means you develop leaders who are ‘rangers’, rather than ‘soldiers’. These rangers will lead us to our goals, and I’m hugely excited to see what this direction does for our business and for the industry as a whole. Agility is a critical skill that must be developed especially in today's constantly changing landscape. How can the Human Resources function become agile to keep pace with the ongoing transformation?